Mumbai, October 1st, 2018: ZEE5, one of India’s leading digital video on demand platforms is set to strengthen its movies catalogue with the global digital premiere of recent blockbuster movie Mulk. 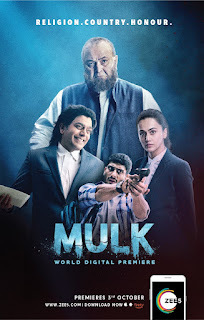 Featuring award-winning actors Rishi Kapoor and Taapsee Pannu, Mulk will premiere exclusively for ZEE5 subscribers on 3rd October. 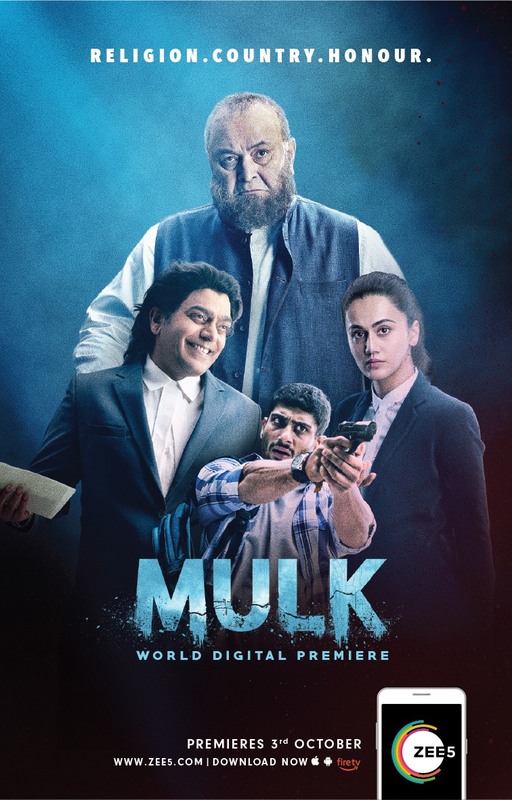 Mulk is an intense drama based on a true story where a Muslim joint family from a small city in India is trapped in a dark controversy and trying to reclaim their honor. The movie focuses on some hard-hitting issues and other faces of terrorism which are often hushed about. Directed by Anubhav Sinha, the movie sets out to uncover the prejudice that seeds people’s perception for the Muslim community in our country. The movie also features a well-known star cast including Prateik Babbar, Rajat Kapoor, Ashutosh Rana, Neena Gupta among others. Pricing: Freemium pricing model with both free and paid premium content (including Originals) to cater to a mix of audiences. Viewers who subscribe to the ZEE5 subscription pack will get access to the entire library of content using the limited period special subscription offer – 99/- for 2 months and 499/- for a year. Offer valid till 31st October. ZEE5 is the brand new digital entertainment destination launched by Zee Entertainment Enterprises Limited (ZEEL), a global Media and Entertainment powerhouse. With content across 12 languages like English, Hindi, Bengali, Malayalam, Tamil, Telugu, Kannada, Marathi, Oriya, Bhojpuri, Gujarati & Punjabi, ZEE5 is home to 1 lakh hours of On Demand Content and 90+ live TV channels. The platform brings together the best of Originals, Indian and International Movies and TV Shows, Music, Kids content, Cineplays, Live TV and Health and Lifestyle content all in one single destination. ZEE5 offers groundbreaking features like 11 navigational languages, content download option, seamless video playback and Voice Search.